NSA Sheep South West 2017 took place very near junction 27 for Tiverton on the M5 so there was no excuse for it being difficult to find! The weather was very hot 30 degrees and very sunny. Our stand was very ably erected by Bob Gibson and we are extremely grateful to him for transporting the stand to the NSA events this year and last year too. Excellent sheep were provide from Cornwall by Gwen Renfree, both pedigree and Zwartbles cross . The stand was manned by Barry Mills, Joan Rowlands ,Martin Pearce and Bob Gibson with help from Gwen and her husband . 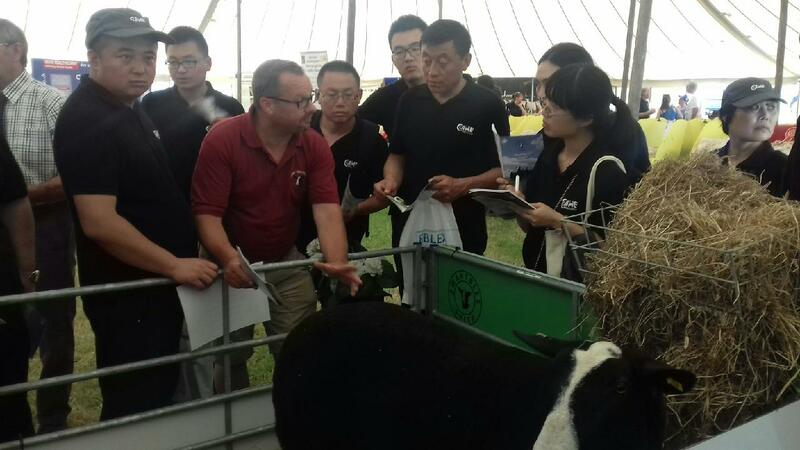 There was a great deal of interest in the sheep and quite a number of existing members visited the stand and potential new members were interested in the breed for the next Sales. It was an exhausting day ,due to the heat, but also a very enjoyable day promoting the breed.